Made from 1.9 plastic bottles (500 ml)! 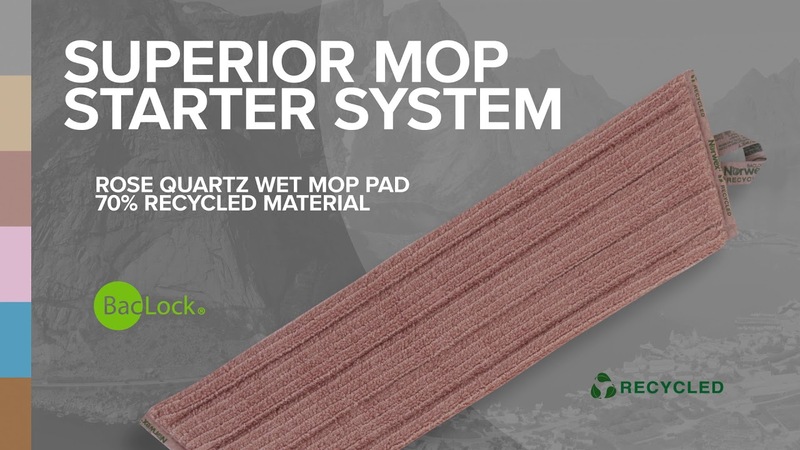 The Dry Superior Mop Pad made from 50% recycled materials, is statically charged and will pick up the smallest particles of dirt, dust, pet hair, crumbs and more. Great with the Ergo-Bend for reaching under furniture! Our Mop Pads pick up even the tiniest particles and attract dust like a magnet. They are excellent for cleaning linoleum, vinyl, laminate, wood, marble and tile flooring; baseboards; ceilings; walls and even high windows, all without chemicals.